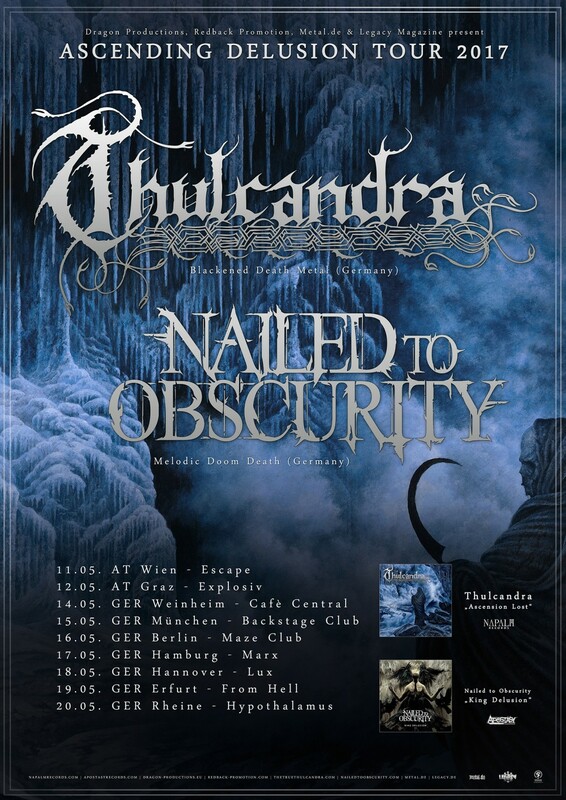 „We would like to welcome you as our guests to celebrate the 15th anniversary of both Obscura and Thulcandra in our hometown Landshut. 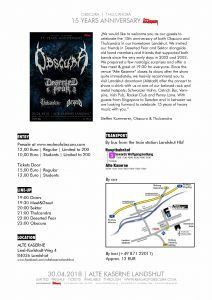 We invited our friends in Deserted Fear and Sektor alongside old band members and friends that supported both bands since the very early days in 2002 and 2003. We prepared a few nostalgic surprises and offer a free meet & greet at 19:30 for everyone. Find all information here at a print-it-yourself schedule. 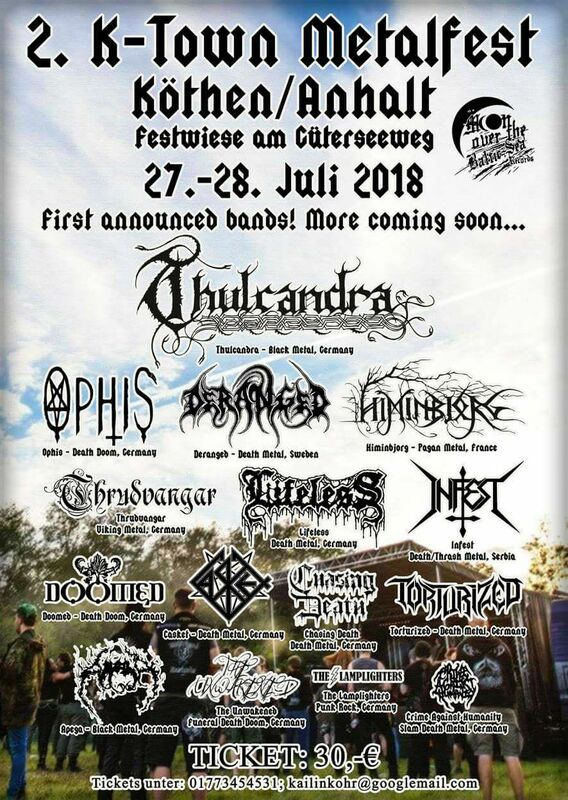 Thulcandra headline Burning Q Festival 2018! Am 27. & 28. Juli 2018 findet in Freißenbüttel (OHZ) das 8. Burning Q statt und bietet euch zwei Tage Camping & Festival mit 19 Bands auf 2 Bühnen, Meet and Greet, Aftershowparty, Feuershow und vieles mehr. 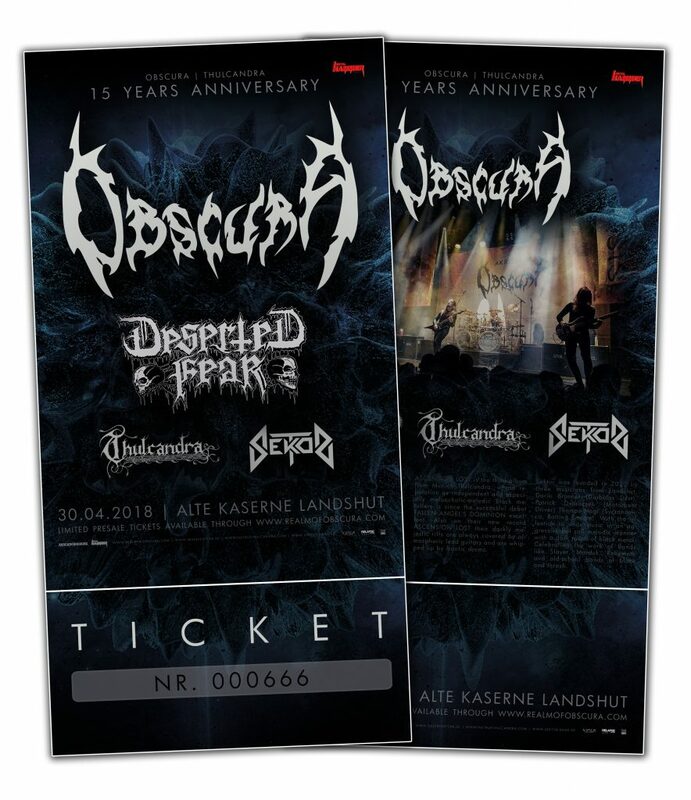 Die Burning Q Plannungen für 2017 laufen und die Tickets gibt es in Kürze in unserem Shop oder bei Musicland in Osterholz-Scharmbeck. Ende jeweils gegen 3:00 Uhr. Thuringia´s Deserted Fear are crafting their vision passionately and merciless since 2008. 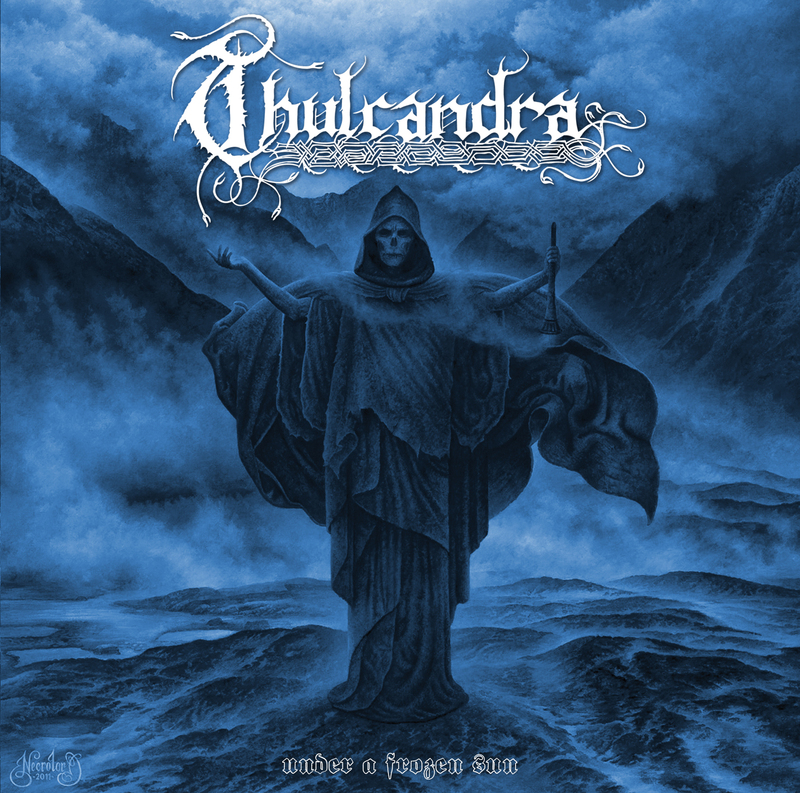 Their debut album “My Empire” (2012) blew up a lot of dust and they are on their way to become one of the most important forces in the European metal scene. 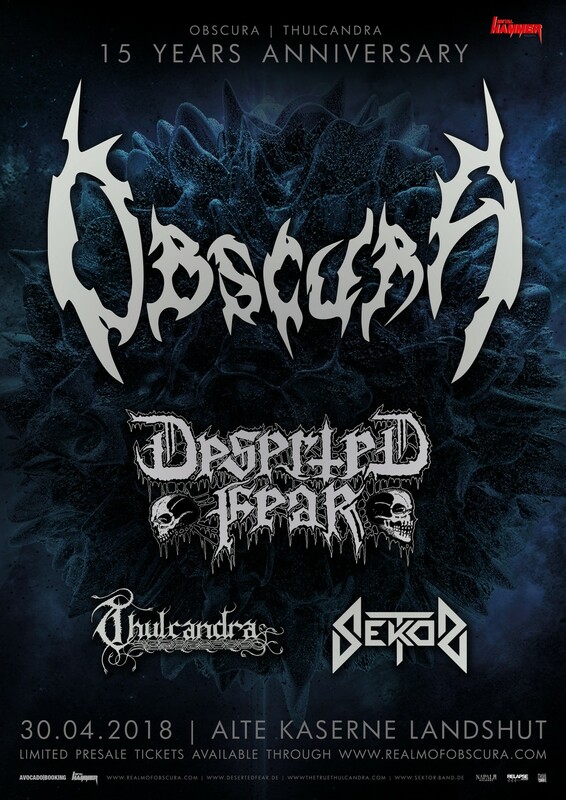 Deserted Fear combine the sound of Swedish death metal with US old school death metal to create their very own, modern sound, without losing heaviness and authenticity.